Check out our booth at folsom! The Tykables crew is gearing up for the largest leather event in the world! 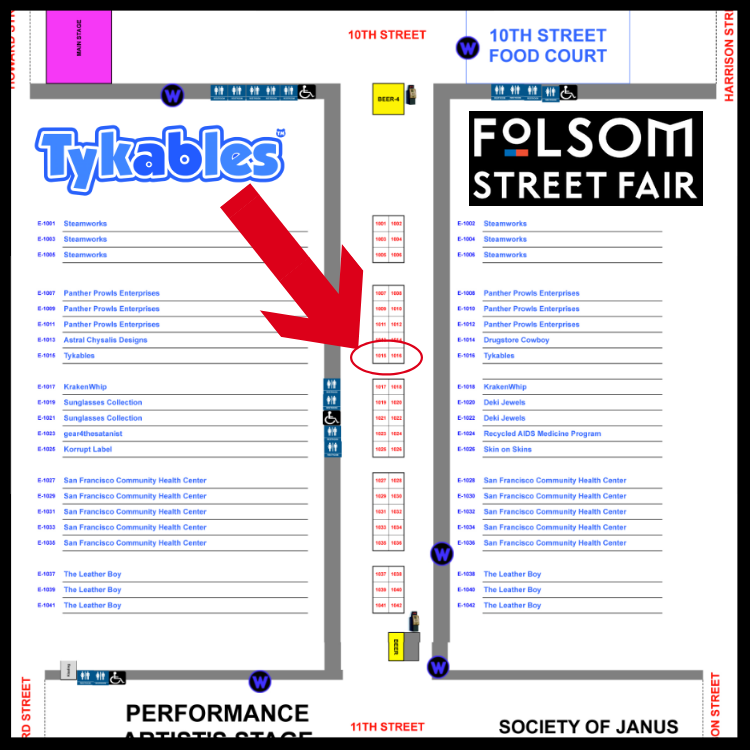 Come check out our booth located between 10th and 11th street and stock up on Tykables gear! Check out the map below for location details!